I found another use for freezer paper - negative space embroidery! Cut your linen or other fabric a bit larger than what you will need for your project. Cut out a shape with freezer paper and iron it, shiny side down, to your fabric. Select a few shades of embroidery floss and thread three strands of your first color onto an embroidery needle. Make tiny stitches around the shape, closer together near the shape, and farther apart as you get away from it. Once you get all the way around, repeat with your second color, and so on. 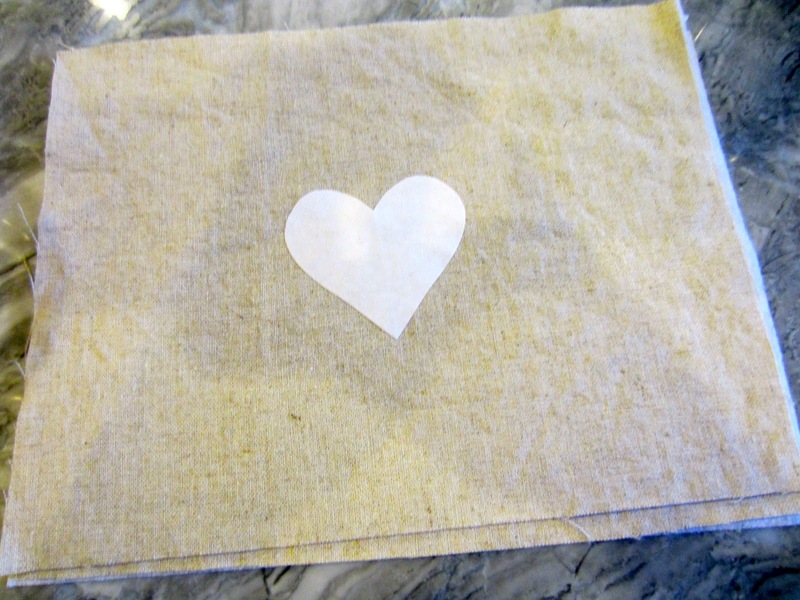 Remove your freezer paper & voila! If you don't have enough stitches to make the design appear, you can iron the shape back on and add a few more stitches. Now you can use it for a little zippie pouch or something else fun! Rachael at imagine gnats asked me to be a tester for her new embroidery patterns! I couldn't even wait until she had instructions ready, so I used her pattern and my own plan for stitches. I just love this little superhero of love! Rachael has graciously agreed to give one reader their choice of valentine embroidery pattern! So leave a comment and let me know if you'd pick this sweet girl or the boy. It will be delivered via email as a pdf. 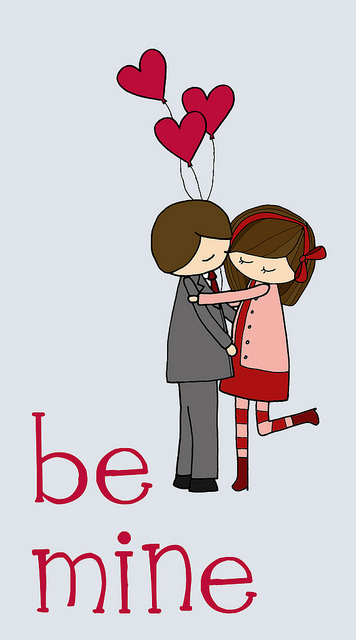 And, just so we all can be a winner, Rachael has an amazing assortment of valentine printables, free for us all! Go take a look here or here or her free flickr set. Thanks for reading, have a wonderful weekend! I love your idea with the freezer paper! I'll definitely be trying it! I like the girl pattern best! loving this valentine's series. never thought to use freezer paper that way either! i'd love the little boy embroidery-- they are both really cute! Your negative space heart is so clever and pretty! The freezer paper heart is genius! What a great idea!